The future of Todmorden College will be discussed by Calderdale Council’s Cabinet at a meeting next week. The college, which is owned by Calderdale Council, would cost an estimated £750,000 to bring up to an acceptable level. It has a children’s centre and offers youth services plus courses for adults aged 19 and over, but it is currently underused. Councillor Barry Collins, Calderdale Council’s cabinet member for regeneration and economic development, said: “In its present form the college is unsustainable, with only 40 per cent of the building currently occupied and it is time now for us to seek an alternative use for the site. The college has been deemed an Asset of Community Value following a nomination by the Upper Calder Valley Renaissance Group (UCVR). 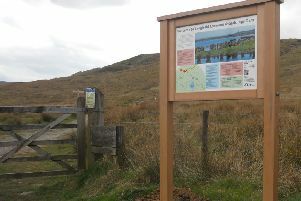 This means that if the council decides to dispose of the site, then community organisations would have six weeks to register as a potential bidder for the college and six months to prepare a bid, from the date the council serves notice in accordance with the Asset of Community Value Regulations. During this period the council can continue to market and negotiate a sale for the building, but cannot dispose of the property. Cabinet will be asked to consider the future of the building after receiving two proposals for the site, one from supermarket chain Aldi and another from the Todmorden Learning Centre (TLC), which includes Incredible Farm and School of Natural Building. Aldi has approached the council to acquire the site, for a larger store and a new Children’s Centre and Youth Services Facility on the existing site. This would include an external play area and 10 dedicated parent and child parking places. Aldi owns the site adjacent to Todmorden College and already has planning permission to build a new supermarket and car park. The construction of a new Children’s and Youth Centre would cost in the region of £1.4 million, and Aldi has confirmed that it will provide a financial contribution. The centre would continue to provide Sure Start services, day care for children aged 0-5 and family support for families with children aged 0–19 years. Aldi would acquire the freehold of the college site, and once the development was completed a 999 year lease of the new centre and site would be granted to the council on a minimal rent. TLC’s proposal is to ‘create a National Learning Centre in the Calder Valley that would provide real and marketable skills in natural building, agro-ecology and micro-generation. The cabinet will be asked to recommend that the council proceeds with detailed discussions with Aldi subject to consideration of any alternative bid received under the Asset of Community Value procedure. “We’ve easily collected hundreds of signatures from people opposing the sale and demolition of the college. “This is the third building in Todmorden that Calderdale Council have simply said that there’s a problem with it for the council so it must be demolished. “First it was the old Ferney Lee Grammar School, then the bandstand in Centre Vale park, and now the college. All within a year or so. sustainable proposal with continuing support from the community. The meeting will be held at Halifax Town Tall on Monday, April 3, from 6pm.